We have spoken extensively on this site of the Fédération Française de Tennis and the city of Paris’ determination to extend the site of the Roland-Garros tournament to the Serres d’Auteuil (ill. 1) with the tacit complicity of the State. 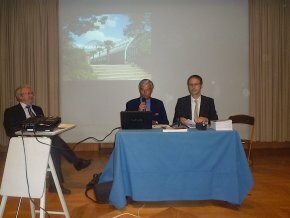 Several local and national associations, working together with the support of Vieilles Maisons Françaises and the Société pour la Protection des Paysages et de l’Esthétique de la France, have opposed the project and chosen to actively fight against it. However, before undertaking a legal battle, and after several months of consultations with no cooperation from either the city nor the tennis federation, Alexandre Gady and Philippe Toussaint, the respective presidents of SPPEF and VMF, have decided to present a counter-proposal (ill. 2). The associations thus take note, with great regret, of the choice made by French tennis officials to remain in Paris. And they have based their proposed solutions on the FFT’s required specifications for the extension to Roland-Garros. Their objective is to preserve in this way the entire site of the Serres d’Auteuil, offering an equivalent space for the tournament but one which would avoid the mismanagement of public funds. We must admit that this counter-proposal is remarkably convincing and shows the error of annexing the Serres d’Auteuil when it is perfectly possible to extend the tournament without harming the environment (all the contrary). cover a small portion of highway A13 to welcome the practice courts currently located between the courts Suzanne Lenglen and Philippe Chatrier. create a new "Place des Mousquetaires" where the practice courts are now ; this is apparently needed to improve the entrance facilities for the public. 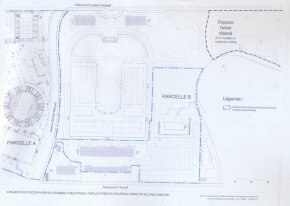 build a court able to house up to 5,000 seats at the "Fonds des princes", thus replacing the one the FFT wishes to build at the Serres d’Auteuil ; the current project already shows plans at this location for a "show court" of 2,000 seats which could be moved to court n°1 instead. The associations wished to present these proposals to the FFT and the city of Paris during the consultation period but both refused to examine them in any way. 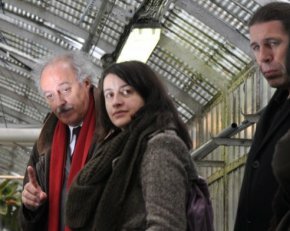 Since the beginning of the affair, Bertrand Delanoë and Anne Hidalgo have claimed that covering the A13 would incur prohibitive expenses, 550 million euros. Once again, this is absolutely untrue, but not surprising on the part of elected officials who dare to state publicly that the greenhouses to be destroyed are closed to the public, when they are in fact open and free of admission . We have no clue as to the interests these officials are trying to protect in acting so stubbornly, clearly not those beneficial to the city of Paris. 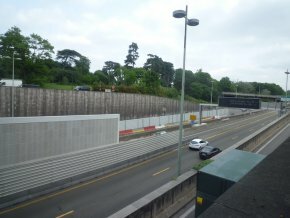 With the support of engineers from the Ponts-et-Chaussée, the associations demonstrated quite easily that the partial covering of the A13 (ill. 4), also camouflaging this gaping sore in the urban landscape, would only cost about 25 million euros max as proved also by a comparison with similar operations by the city of Paris at Porte de Vanves and Porte de Lilas. 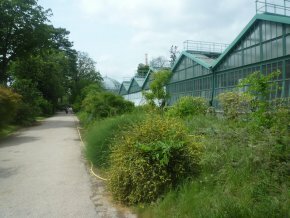 Furthermore, it would present the advantage, as opposed to taking over the Serres d’Auteuil, of making the tournament area more compact, shortening the walking distance for visitors and preserving the possibility of covering the highway in the future for further additions, a fact which would appear to be inevitable. Finally, the mayor of Boulogne-Billancourt stated that if this solution were chosen, he would participate "significantly" in the coverage of the A13. The previous French president, who had reached an agreement with Bertrand Delanoë for his Grand Paris project, had left him free rein in the proceedings. Yet, at a recent lunch with figures involved in heritage policy attended by Alexandre Gady, he had answered a question on the subject by saying : "It will never be carried out because there’ll be too many appeals." This opinion is shared by former Culture Minister, Frédéric Mitterand who also said to Alexandre Gady : "I told Bertrand : you’ll never make it, there are too many appeals !" We had heard him say the exact same thing ourself. This is a strange democracy indeed when its leaders, aware that a project is against the law, let citizens do the work for them. We might tend to worry at the knowledge that the new government is of the same political tendency as Bertrand Delanoë. However, the minister in charge of the Grand Paris project is Cécile Duflot, an early opponent to the Roland-Garros extension into the Serres d’Auteuil (ill. 5). The associations are planning to meet with her as well as with the new Minister of Culture. The FFT is now faced with a simple choice : it either sticks to its destructive project, in which case it will have to deal with a group of associations determined to fight the battle to the end, as asserted unambiguously by Philippe Toussaint and Alexandre Gady. Whatever the outcome, this will obviously imply long and costly procedures lasting a certain number of years which would over time cost Roland-Garros its tournament status in the Grand Slam. Or else it accepts a solution respecting national heritage and is thus able to inaugurate its new spaces as scheduled. We remind our readers that a petition with almost 49,000 signatures is available online here. There is still time to sign if you have not done so already. The other greenhouses planned for destruction are of course closed as they house equipment for the gardeners, and were in any case built recently.